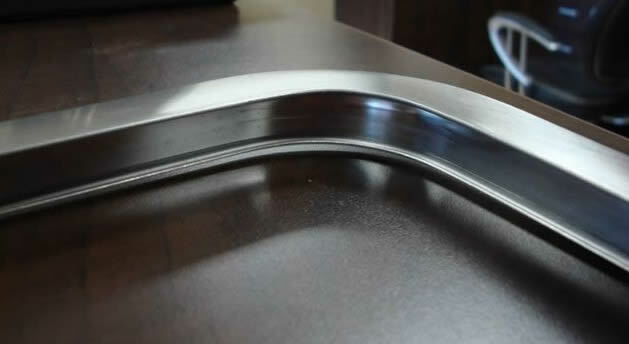 Polyethylene or Polypropylene is commonly known in the industry as polypro, PP, polyolefin, virgin polyolefin, copolymer material, polyethylene or PE and is widely used as a raw material in the making of high quality corrosion resistant laboratory sinks and accessories. 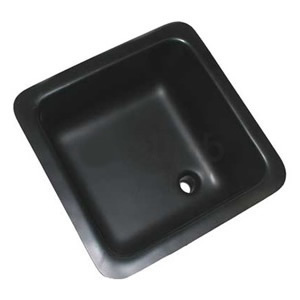 The scientific plastics laboratory sinks are acid resistant and molded of durable polyethylene for counter-top installation, with an integral strainer tailpiece, also acid resistant, and furnished as an integral part of the one piece Roto-Molded sink. Polyethylene has great thermal shock resistance. Many labs use dry ice for various purposes in their sinks. Polyethylene when exposed to dry ice will not stress or crack; like a more rigid material such as epoxy which will crack under the stress of super cooling. Even-Flow PE / PP sinks are produced from virgin polyolefins with an integral 1.5" national pipe thread outlet. 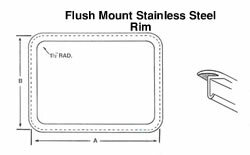 The corner drain location allows for the maximum use of the sink bowl and the integral flange permits either flush top mounting, using a stainless steel flush mounting rim, or traditional below the counter mounting with a steel rim. Architects should specify top mount or under mount applications and customers as well during inquiry or ordering process. 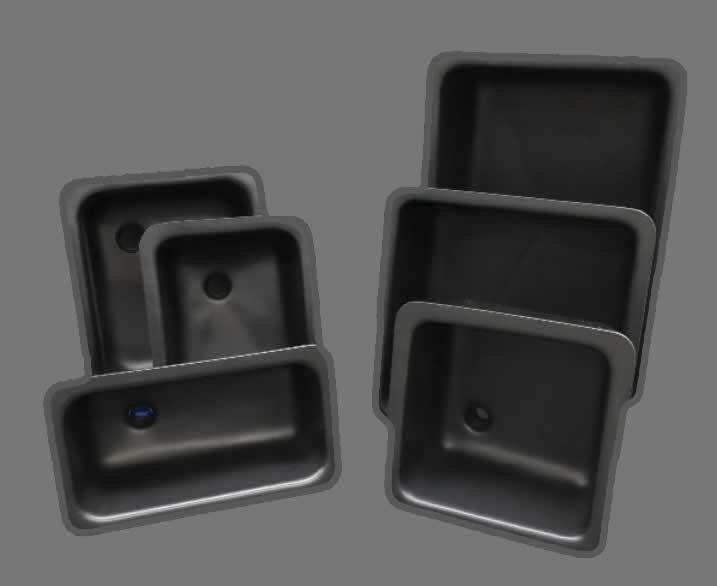 end-user with an aesthetically appealing design, smooth appearance and affordable alternative to stainless steel or some epoxy sinks. The poly sinks offered by Total Lab Solutions (TLS) are sold under the brand name Even-Flow and are considered lightweight, easy to install, corrosion resistant, require minimal under counter bracing and are of the highest quality available in a multitude of shapes and designs. 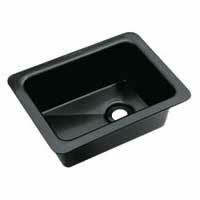 Both single bowl, double bowl and ADA Compliant poly sinks are offered and typically available for shipment from stock. Even-Flow Poly PE / PP sinks are equal to the corrosion resistant laboratory sinks from Orion Fittings, at reduced costs and when combined with Duratop Epoxy resin laboratory tops or Trespa Solid Phenolic laboratory counters, even greater savings are realized. Even-Flow Corrosion Resistant Laboratory Sinks, similar in all respects to the Orion Fittings polyethylene sinks, are molded from durable polyethylene and are designed for intense chemical environments in all laboratory settings. 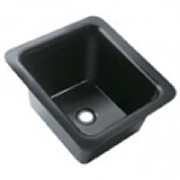 polyethylene (PE) sinks, Even-Flow sinks are offered in 3” x 6” cup sinks, 3” x 9” cup sinks, 6” round poly cup sinks, as well as several models of ADA compliant poly sinks. All USA sink outlets / wastes are produced as an integral part of the sink unit with a 1 ½” (38mm) national pipe thread outlet. 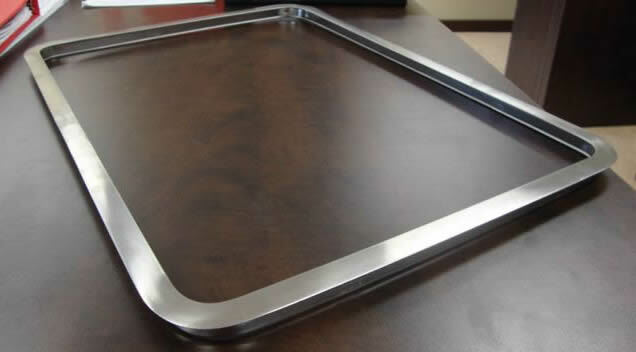 Even-Flow Poly sinks, like their epoxy resin counter parts, can be mounted below the work surface as an under counter mount sink or placed into a rebated / rabetted lipped cutout into the surface of the countertop. Another method for some polyethylene sinks is to top mount above the counter on P-Lam counters, using a suitably sized stainless steel flush mounting rim. Polyethylene Even-Flow laboratory sinks, cup sinks, traps, overflows and stoppers are available from Total Lab Solutions as a molded, one piece seamless construction of a blend of virgin polyolefin's, polypropylene and polyethylene, to create corrosion resistant products for the laboratory and testing facilities in both the United States and the International market. 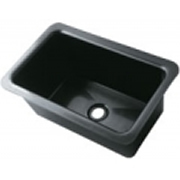 Poly sinks by TLS are now available in Black, White and Gray Color. Other colors available on a special production basis with minimum requirements of 25 units per production release. Specify Even-Flow Poly sinks for your laboratory requirements. Manufactured of chemical resistant polyolefin's. Corrosion Resistant against commonly used laboratory acids and chemicals. Shock Resistance. Dry Ice compatable and replaces epoxy resin sinks. Do not, however, use with liquid nitrogen. Under counter mounted with steel rims. Top mounted utilizing stainless steel flush mount rims. One piece molded with integral drain outlet insert or separate drain waste, depending on source. Lower weight with reduced cost of materials and transportation. Produced primarily in color Black, with white or gray available on most models with minimum order basis. NOTE: Dry ice compatability - will not crack or deteriorate as will epoxy sinks. 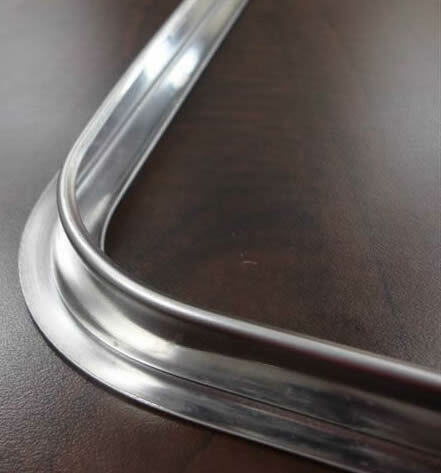 Flush or top mount stainless steel rims or undercounter steel mounting rims are available for all sinks and are recommended for installation of PE/PP sinks. Other size Rims avaialble upon request for any Polyethylene sink.